Samsung will officially launch the S10-series on February 20. In a little over a month from now (February 20, to be exact), Samsung will unveil its hugely-anticipated Galaxy S10 series of flagship smartphones at an event in San Francisco, CA, United States. The past few months have countless rumors and speculations about the S10 line-up, which is expected to have as many as four smartphones. However, as Samsung’s major launch event draws nearer, even more leaks have started to pop-up. 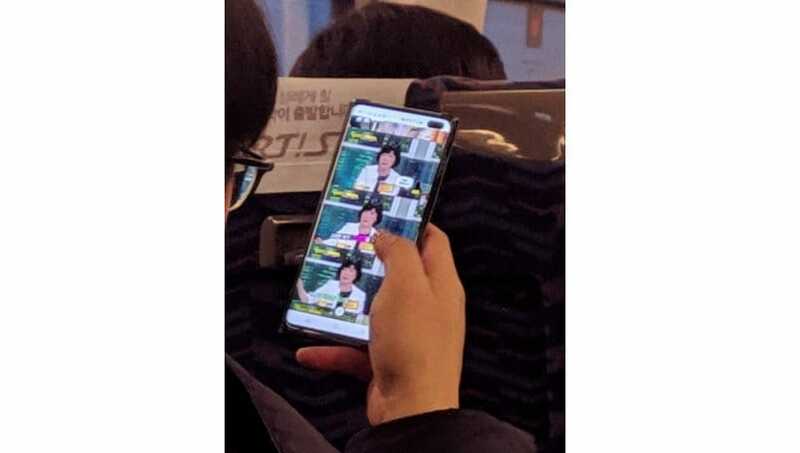 The latest of such leaks is a live image (via SlashLeaks), which is alleged to be of Samsung Galaxy S10+, the biggest smartphone in the upcoming S10 series. While the image doesn’t reveal any major UI elements (except for on-screen navigation buttons with white background), it does confirm one of the biggest rumored features of the Galaxy S10+ – a dual-lens selfie camera setup. In the image, the Galaxy S10+ is clearly shown with a horizontal, pill-shaped ‘punch hole’ cutout on the top right corner of the display. Underneath the cutout are most likely the two lenses that’ll make up the front-facing camera system of Samsung Galaxy S10+. It’s also worth mentioning that the image shows the smartphone in a flip cover, and was captured when a Samsung employee was using the device while sitting in a vehicle (most probably a bus). 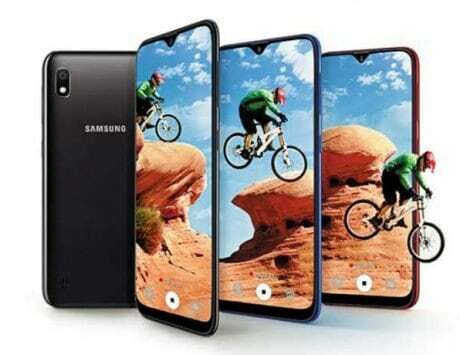 Lately, leaks and rumors regarding Samsung’s Galaxy S10 series seem to have increased quite a lot. 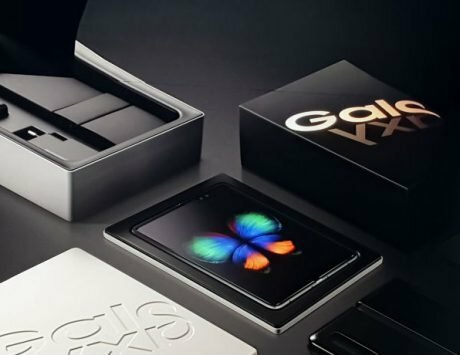 It’s been alleged that the four smartphones in the line-up could be called Galaxy S10 E, Galaxy S10, Galaxy S10+, and Galaxy S10 X (which is expected to come with 5G support).